When looking at top MBA programs abroad, especially those in Europe, HEC Paris is a name that comes to mind immediately. 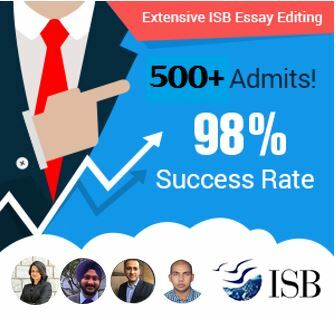 In the past, the school has been compared to other top programs in Europe, including the INSEAD MBA program, the IMD MBA program, the LBS MBA program, and to a lesser extent, the Oxford and Said MBA programs. 2015 was a pivotal year for HEC Paris too. It named a new dean, and gained on the MBA rankings. As one of the few one-year programs that offers both a January and a September intake, the HEC MBA is growing more popular by the day. However, while rankings and placements constitute important criteria for valuing a school, student life at the school is another important consideration. Life at HEC Paris is about much more than academics and courses. For example, part of the leadership training of HEC MBA students is done at a Military Academy. In 2014, its 50th year, HEC also put out a video of how life at HEC Paris has changed over 50 years. Life at HEC Paris is full of multiple novel experiences – HEC has a large, wooded campus, with a significant wooded area, a large gymnasium, and multiple eating options. More than 130 clubs exist on campus, the sports scene in well established, the city center of Paris is just about 20km away. GyanOne has deep expertise and experience in helping applicants make it to the HEC MBA and MiM programs. See our testimonials here, here, and here. Contact us today!to know how we can help you to succeed too, or just for a profile evaluation! We have discussed Meghdut earlier. In 2014, he was one of the most distinguished applicants to the HEC Paris MiM program. After having spent more than a year on campus, Meghdut sent us his brief overview of life at HEC Paris. Caveat: these are Meghdut’s views, not ours. Also, they may be more relevant to someone who is pursuing a career with a focus on entrepreneurship. Still, many features of life on campus, such as interaction with peers from different nationalities, and the resources available for personal growth, remain similar irrespective of one’s career objectives. To begin with, let me just say that coming to HEC was one of the best decisions I have taken in my life. In one year, it changed my perspective of life, introduced me to some of the closest friends I have ever had and helped me inculcate an appreciation for the arts like only a French school can. I was elected as the Vice President of the biggest student run Society on campus: HEC International Society and this helped me reach out to a lot more people on campus. It has been a great year, with lots of exciting stories. Being in Europe, I have travelled to 12 different countries in the span of one year, and done things I would have never thought I would do. I have met some great professors who have now become my mentors in life. I have been offered jobs for being an outstanding negotiator in my International negotiations class. The opportunities are endless. The connections I have made are invaluable. If YOU are planning to come to HEC, come without any inhibitions or pre conceptions. Just come and take away all that you possibly can grasp. You will not regret it. International Experience for INSEAD: Important?